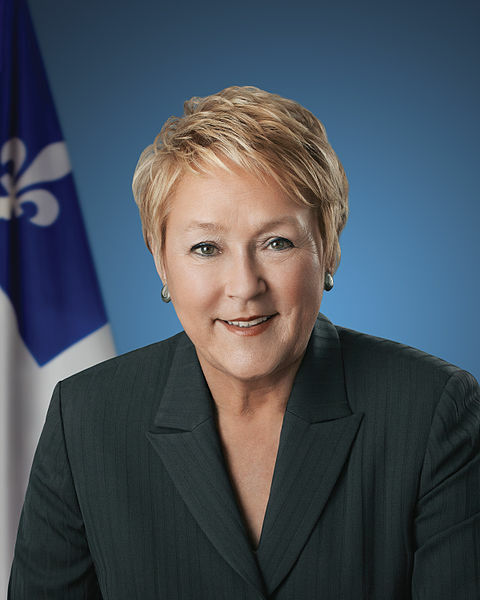 Yesterday (September 10, 2013) the government of Quebec (Canada) released its controversial “Charter of Quebec Values.” The political party in power in Quebec is a minority nationalist one, the Parti Québecois. According to numerous news reports (I can’t find the actual Charter on the Internet yet) this Charter is a statement of “values” that will ostensibly entrench religious neutrality in Quebec by prohibiting either providers or seekers of government services from wearing conspicuous religious symbols, such as hijabs (headscarves for female Muslims), turbans (for male Sikhs), and kippas (skullcaps for male Jews). As a sop to neutrality, Christians will also be prohibited from wearing large, conspicuous crosses. Small (discrete) crosses for Christians, and Stars of David (for Jews) will be allowed. So if you live in Quebec and wear such symbols, get out your measuring tape! One could of course ask, what business does government have proclaiming the “values” of its entire population? In democracies, citizens are supposed to have the right to whatever values they please. Sometimes they may not be permitted to act on those values, if they are against the law. For example, some people may hate Sikhs, Jews, or Muslims, but they can’t refuse to hire them. But wait a minute, they will be able to do so in Quebec! If you are in the government in Quebec, even if you don’t hate Sikhs, Jews, or Muslims; even if in fact you rather like them, or are one yourself, you won’t be permitted to hire them for any kind of government job if they wear turbans, kippas, or hijabs. Even more ridiculous, Sikh women and Muslim men will be okay, as most Sikh women don’t wear turbans and Muslim men don’t wear hijab (though some wear a small religious skull-cap, much like some Jewish men). Religious Jewish women may be okay as well: some married Jewish women wear wigs or hats, but hats appear not to be banned by the new Charter. So far beards aren’t banned either. Some Muslim and Jewish men wear long beards (so do some Amish and Mennonite men, but I don’t know if any of them live in Quebec) so if they are banned in the public service the problem will be, do you wear a beard because you are religious, or because you just don’t like to shave? If the latter, can you get a certificate to that effect? I’m all for separation of church and state, having been a victim of religious discrimination myself in Quebec a long time ago. When my parents brought me to Quebec from Europe as a young child, I was bilingual: we had been living in Belgium and I had learned to speak English in my home and French elsewhere. My father, a multilingual European, wanted to register me and my sister in French schools, but they wouldn’t accept us because we were not Catholic. My father would have had to pay fees for us, which he couldn’t afford, so we went to English schools. This didn’t only happen to me. A friend from France had to attend English schools because he wasn’t Catholic: his mother was Jewish. A friend whose parents were from Italy and who learned French on the street was kicked out of French schools because he wasn’t Québecois (a person of French and Catholic ancestry) but the son of immigrants, and had to go to English Catholic schools instead. (The education system in Quebec until fairly recently was confessional: there were French Catholic Schools, English Catholic schools, and Protestant schools; the latter attended by Protestant Protestants, Jewish Protestants, Muslim Protestants, etc). This went on until Bill 101, mandating that all immigrants must attend French schools, was passed in 1977, finally ending state-sanctioned religious discrimination in Quebec. But the new Charter doesn’t advance separation of church and state: it discriminates against minority religious groups. The government of Quebec is claiming there’s a social problem where there is none. It seems to think wearing a religious symbol is the same as proselytization, trying to convert someone to your religion. It isn’t. Maybe what’s really going on in Quebec, as some commentators think, is that the Parti Quebécois is trying to play to the basest instincts of some sectors of the population, in order to get votes in the next election. Meantime, probably so that the same people, of French and Catholic background, will vote for the Parti Québecois in the next election, the government has proclaimed that the Crucifix (a symbol of Roman Catholicism) hanging in the National Assembly, the provincial legislature, will remain. So, according to the September 11 Toronto Globe and Mail, will thousands of crucifixes that already exist in public buildings. Apparently this is part of Quebec “culture,” implying that the Muslims, Sikhs, and Jews who live in Quebec are not part of that culture. Perhaps they are just add-ons, superfluous groups who annoy “real” Québecois by insisting on reminding them that it’s okay to live in Quebec even if you aren’t French/Catholic (or at least, it used to be okay). One thing’s for sure: there’s going to be a migration of professionals—especially doctors—from Quebec. Doctors are a mobile group and there are a lot of places in Canada and the US where they can practice while wearing turbans, hijabs, or kippas. This is a shame for the people of Quebec, where there is already a severe shortage of doctors. The five-year grace period that the Quebec government proposes for people to adapt to this new “secular” (but actually Catholic) Charter of Values will give all these people time to arrange for their migration.